He was victorious in the 600 and 1,600 meters and was named the Howard Borck Memorial Outstanding Track perforner. Matthew Payamps twice had a late lead vanish before his eyes. And he permanently erased it both times. 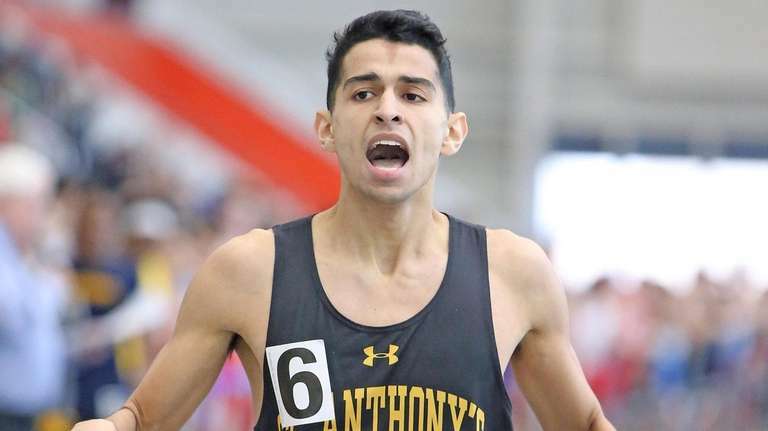 The St. Anthony’s runner finished as both a double-winner and the Howard Borck Memorial Outstanding Track Performer on Saturday afternoon following close-cut victories in the boys 600 meters and the 1,600 at the CHSAA Intersectional championships at Ocean Breeze Athletic Complex in Staten Island. With the wins Payamps will return to Ocean Breeze for the state championships on March 2. The St. Anthony’s boys team finished second for the team title with 27 points behind Iona Prep’s 27.5. 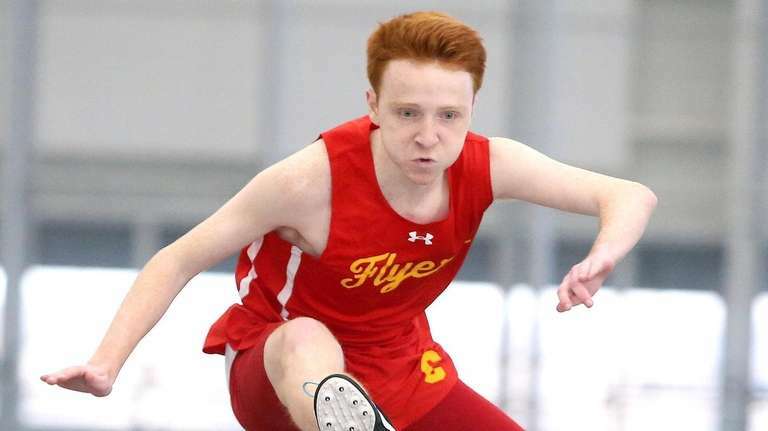 Payamps came away with a heart-pounding victory in the 600 (1 minute, 20.45 seconds) in the early going, as he edged Kellenberg’s Erik Brown (1:20.93). Brown held the lead entering the final lap before Payamps swiftly moved ahead and held on down the stretch. Later Payamps displayed his versatility with a win in the 1,600 (4:19.77). Iona Prep’s Pedro Bravo moved into first place nearly halfway through the final lap, prompting Payamps to find another gear and pull ahead of Bravo, who finished in 4:21.03. Payamps said overcoming the mental component of losing the lead late was key to sealing the victories. Payamps, who is committed to run at Georgetown, spoke about what this senior season has meant to him as he prepares for his final opportunity to run at the state championships. Also earning a win for the boys was Matthew Lally of Chaminade in the 55 hurdles (7.94), giving the senior his first opportunity to compete for a state title. On the girls side, Sacred Heart’s Maggie Maier came up with a dominant victory in the 3,000 (10:10.84). St. Anthony’s won the girls team championship (57), Kellenberg placed second (39) and St. John the Baptist third (37). Maureen Lewin of Kellenberg placed first in the 1,000 (2:57.77), and Sacred Heart’s Shannon Thieke finished second (3:00.96). Lewin, Madeline Lay, Maya Richardson and Brianna Lausev also won the 3,200 relay for the Firebirds in 9:32.37.